This piece considers a lot of ideas about addiction that have been swirling around Infinite Jest since page one. I consider that the act of reading, especially getting lost in a massive tome like Infinite Jest, might simultaneously function as an intoxicating, addictive distraction and the means to wake up from such a thing. 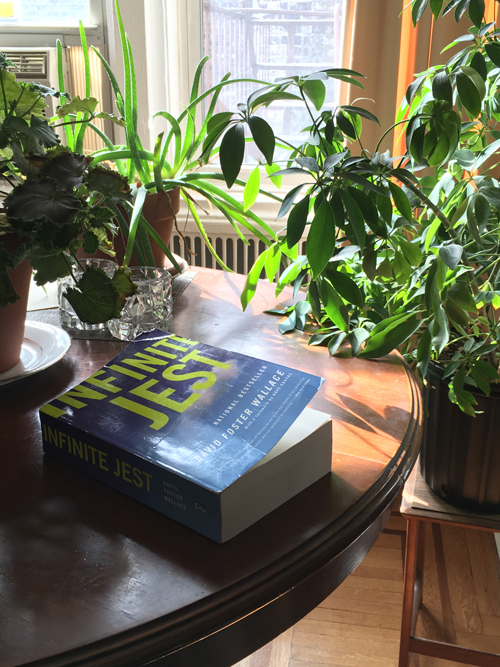 Infinite Jest has already been such a revelatory read for me and I've still got around 600 pages to go. If you've ever thought about taking this book on, I highly encourage you to take the plunge.